Fr. Benedict Groeschel presents an in-depth five-program series from EWTN on the Church's rich history and teaching on devotion to the Eucharist. 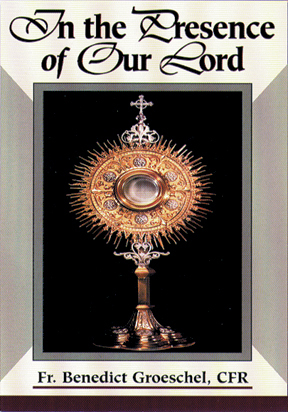 Presented in the presence of the Eucharistic Lord exposed on the altar, these inspiring programs encourage both reverence and devotion as Fr. Groeschel helps deepen our understanding of the great gift and mystery of Christ. Time: 2 hrs 30 mins.